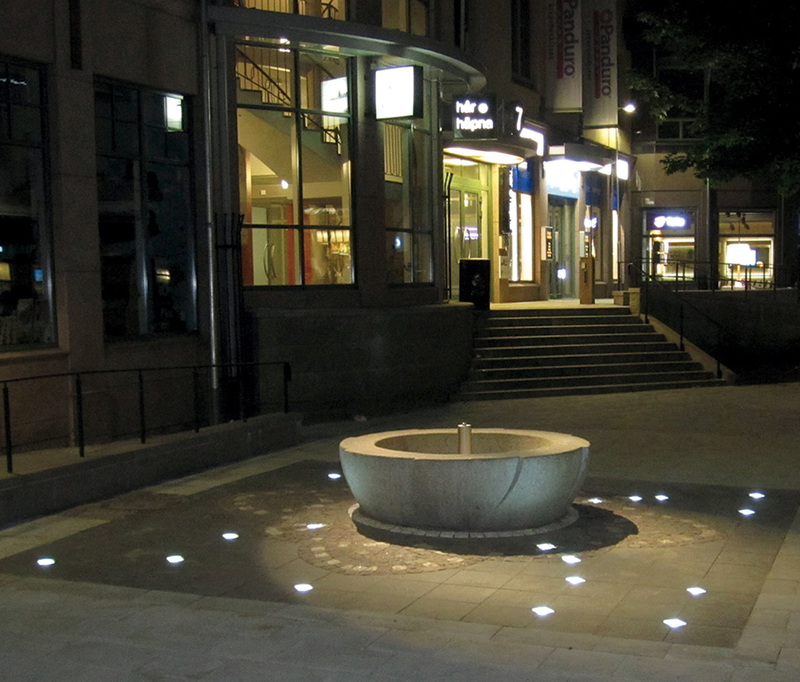 The lighting designer Henric Eriksson specified 20 Lofoten Ramberg white 6500K LED fixtures (LOF171) for the pavement around a public fountain in Sweden. The fixtures, incorporating Cree LED’s, are mounted on AISI316 stainless steel boxes (LOP212) to ease the installation and the maintenance. 20 pcs. LOF171 Lofoten Ramberg white 6500K LED IP68. 20 pcs. LOP212 Lofoten Ramberg AISI316 stainless steel installation box.